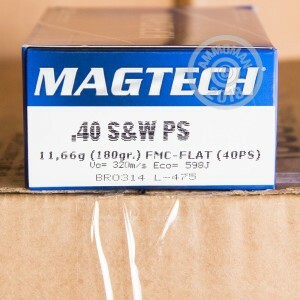 Manufactured by a major Brazilian defense contractor, these .40 S&W rounds from Magtech are an extremely cost-effective option for the range. 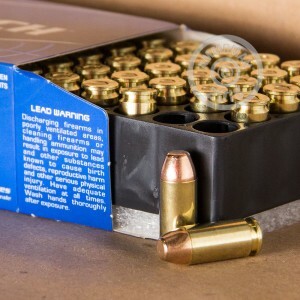 They use a 180 grain full metal jacket bullet that produces typical .40 Smith & Wesson ballistics, as well as internally sourced non-corrosive Boxer primers and reloadable brass cases. This ammo is produced on automated assembly lines at a 500-acre plant outside Sao Paulo and undergoes extensive quality control measures to ensure each batch is consistent with the next. If you're serious about self-defense but don't want to go broke getting prepared, this ammo is an excellent choice. 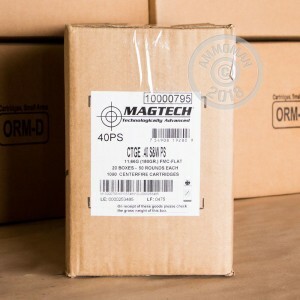 Grab this 1,000 round case (containing 20 boxes of 50 rounds each) for even bigger savings and FREE shipping from AmmoMan.com. Our free shipping promotion applies to all orders over $99.